When the Alaska Board of Fisheries meets in Anchorage later this month, it can act to place the protection of wild stocks of salmon above expansion of hatchery production of pink salmon in the Gulf of Alaska. The issue before the BOF is whether the expansion of hatchery production of pink salmon by the private, nonprofit hatcheries in Prince William Sound is in the best interest of the wild stocks of salmon or if the sheer magnitude of the hatchery releases and the documented straying poses a clear and present threat to other stocks and species. While these issues rarely come before the BOF, it has the authority to amend by regulation the number and source of salmon eggs taken for hatchery production. State of Alaska law (Policy for management of sustainable salmon fisheries – 5 AAC 39.222) mandates that hatcheries shall operate without adversely affecting natural stocks of fish. The policy states that the effects and interactions of introduced or enhanced salmon stocks on wild salmon stocks should be assessed, and that wild salmon stocks and fisheries on those stocks should be protected from adverse impacts from artificial propagation and enhancement efforts. The request before the BOF at its upcoming work session is to halt the currently permitted expansion of hatchery production of pink salmon. Nearly 800 million eggs are currently taken for incubation. The expansion at issue calls for an additional 20 million eggs. Halting this incremental expansion will have little effect on overall hatchery production of pink salmon or the economic value to the commercial fishery, but by halting the expansion, the BOF will be taking an important step forward, placing all parties on notice that the issue at play here is very important and needs to be addressed. Pink salmon that showed up in streams across Lower Cook Inlet in 2017 weren’t all local stocks — in some streams, up to 70 percent were releases from PWS hatcheries. These PWS hatchery pink salmon were present in every Lower Cook Inlet stream sampled. Overall, PWS hatchery pinks composed 15 percent of the pink salmon escapement in LCI in 2017. In addition to the straying issues, recent scientific publications (building on past published reports and internal Alaska Department of Fish and Game reviews) have provided cause for great concern over the biological impacts associated with continued release of very large numbers of hatchery salmon. Credible scientific speculation ties this year’s failure of runs of sockeye and chinook in places like the Copper River, Chignik and the Kenai to competition issues with the massive numbers of hatchery pink salmon in the marine environment. Protection of wild stocks is job one for Alaska. The PWS hatcheries are vitally important to the commercial fishery in that region, but it is time to halt expansion of those hatcheries and take time to let the best available fishery science guide us forward. It is time for the burden of proof to shift from the state needing to prove that harm to wild stocks is occurring to those who propose significant changes to the ecosystem to show no harm. The Alaska Board of Fisheries can and should take the first step to placing us on this path forward. 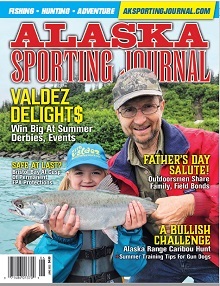 Kevin Delaney is the former director of the Sport Fish Division of the Alaska Department of Fish and Game and is currently a fisheries consultant with Kenai River Sportfishing Association.